All Tech Heating & Chimney Service technicians have been providing Victoria, BC with electric fireplace solutions for over 10 years. Our electric fireplaces offer style and character while creating a wonderful conversation piece within your home. We work closely with you to select the electric fireplace best suited to your home and taste. If you are a neat freak or live by the motto 'No muss, no fuss! ', an Electric Fireplace is the one for you. 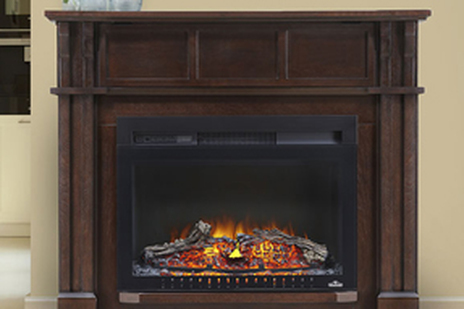 No firewood is needed to harness the heat of an electric fireplace. Wood burning fireplaces are messy and use firewood that is difficult to store inside the home. If you store your firewood outdoors, you need to retrieve it regardless of weather conditions and have a way to protect it from the elements. With an electric fireplace you no longer have to worry about having enough wood to last the season or having to purchase more, in-turn leaving more time to spend by your electric fireplace. 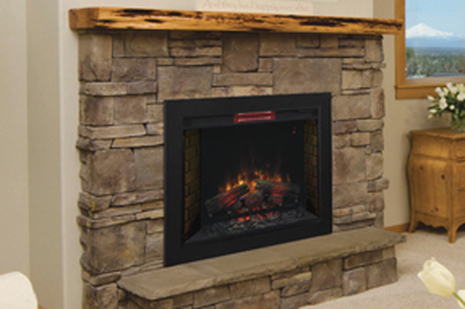 Give us a call today to talk to one of our knowledgeable technicians regarding your next electric fireplace.